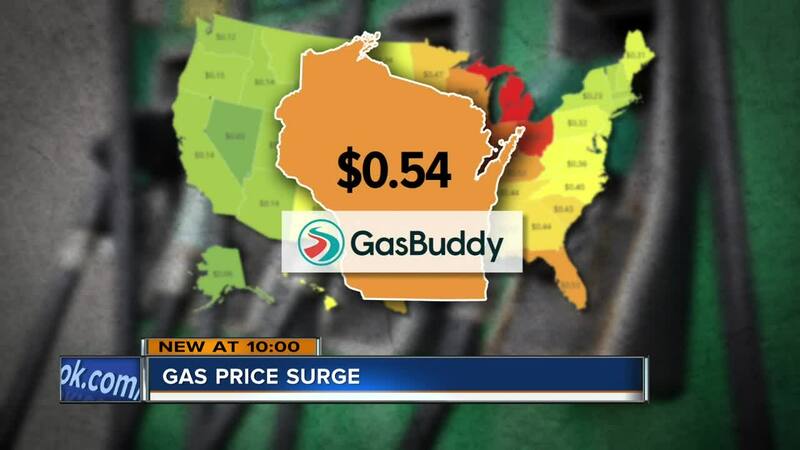 Gas prices are on the rise in Wisconsin, up more than 50 cents since January. The average price for a gallon of gas is $2.56 in the state, $2.53 in Milwaukee. Experts say the switch to the summer blend, pipeline problems in Canada and the Venezuelan political crisis are all reasons for the rising prices. But the base cost of crude oil is also an issue. "What’s really driving this though is we can’t keep our eye off oil," Dan McTeague of GasBuddy.com said. "Oil since Christmas has gone from $42 a barrel at one point, scratching $60 per barrel today." McTeague believes that the prices will continue to rise as we get to the summer. "I think $3 a gallon is back in the books perhaps even higher" he said. Gasbuddy.com shows Wisconsin near the middle of the pack currently with the 20th most expensive gas prices. Michigan leads the Midwest with the largest rise from their 2019 low. As much as 75 cents per gallon. For information on the increases and where you can find the cheapest gas, click here .